Something for everyone, Mystery, Science Fiction, Suspense and Fantasy. 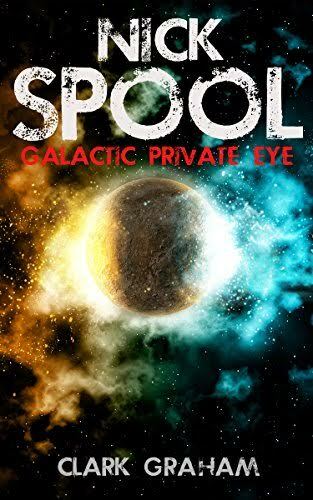 Nick Spool Private Eye, an investigator tries to solve a murder, but is shocked when the truth isn't a simple who done it. There could be intergalactic consequences. Strange Kin A boy grows up knowing he's different, but does not know why. One day he gets a visit by someone claiming to be his father, His father is not the loving kind one that a boy hopes to have, but someone who might be out to kill him to hide an ancient secret. Guardian of the Portal A man guards a portal into another dimension, not knowing that it is a place where there is a better life. But why is no one ever returning? The Long Drought After a long drought, in a small town, animals are acting funny and people are starting to disappear. Child of the Visitor A visitor holds secrets that only his nurse is beginning to understand. Spanish Gold A pact that a group of soldiers took when they discover a bag of gold while hiding in a barn in Germany during the war. But is the gold cursed? Goat War of Rum Water Springs You've never heard of Rum Water Springs, and here's why.